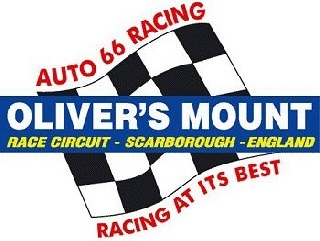 An action packed weekend is envisaged by Auto 66, who are the organisers of the annual Barry Sheene Festival on the demanding Oliver’s Mount Race Circuit, Scarborough. The circuit is within walking distance of the town centre and the foreshore, which makes the week end ideal for families, particularly at this event where there are lots of static displays including a Concours d’Elegance competition on Sunday only, this will commence at 10.00am in the biker’s village area adjacent to the main car park and spectator area. Trophies will be presented in the following classes – 1950, 1960, 1970 and 1980. Entry to ticket holders is free, providing you have put your bike on display for judging which will commence at 10.30am, the senior judge will be Giacomo Agostini. You must fill in an entry form, which will be in the programme. The Yorkshire Coast British Motorcycle Club, the International Laverda Owners Club, the Suzuki Owners Club, the British Historic Racing Club and the Viking Motorcycle and Sidecar Club will all have displays of machinery on both days, plus a large turnout of the Benelli Owners Club. The star of the weekend will be Giacomo Agostini, 15 times world champion. Giacomo will be parading his 500cc MV Agusta, on both days along with Mick Grant and the top riders from the 80’s and 90’s. On top of all this there will be the normal race programme which includes Lightweight, Super Lightweight, Junior and Senior classes. Included in the entry for these races will be Ian Lougher and Ryan Farquhar, both these riders are also entered into the classic races on identical Paton machines. Other notable riders to watch out for are James Cowton, Ivan Lintin, Dean Harrison and Keith Pringle to mention just a few. As well as the action packed race programme there will be parades of classic racing machines at approximately 1.30pm and 4.00pm each day. For those camping at the bikers’ village there will be a disco on Friday evening and live music on Saturday with the Bongo Man and his Band, a night not to be missed. This entertainment is only available to people that have purchased race day tickets. There are still a few advanced tickets available, which is the only means of obtaining access to the competitors’ paddock. These can be ordered on the phone on a first come first served basis. When they have gone they have gone as there are strict restrictions of numbers allowed in the paddock.